Q. Can I charge my phone, tablet, or computer in the Library? Yes! Some of our branches have device charging stations already, and the rest will in the very near future (estimated September 2018). 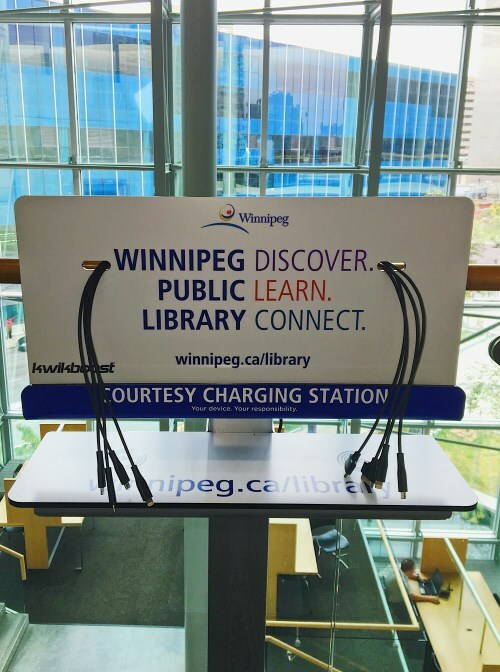 At Millennium Library you can find charging stations on the first and fourth floors. The stations support the older Apple 30-pin devices, the newer Apple Lightning connector devices, Micro-USB (many Android phones and other devices), USB Type C (a newer standard that can even charge some new laptops), and wireless charging (for those phones that support it). Please note: charging stations are not lockable or monitored. Users are responsible for remaining near their devices while they are being charged.